There are countless production teams that make use of podcasts, be they focused on a single project or a whole network of projects. When done well, these podcasts are pretty effective in increasing audience engagement; it gives you a group of people to root for and lets you see the development time not simply as a barrier, but as a period of time in which different goals for the project are being accomplished! This is actually the goal of our weekly Dev Update, but even that is fairly limited, given the summarized nature of them. 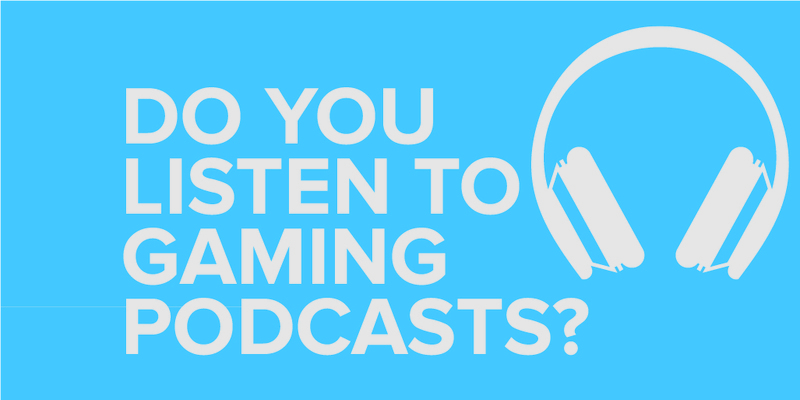 We’ve been thinking a lot about the possibility of developing a podcast for Gears of Eden, so naturally, we decided to see if you were interested in the medium. 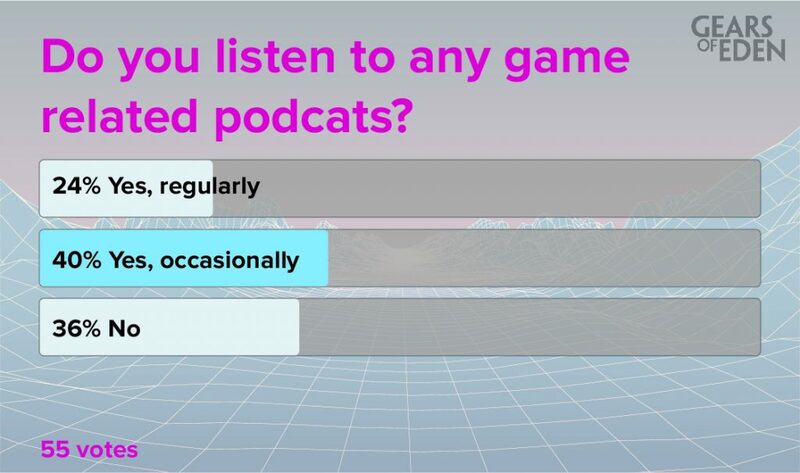 I’m sure it comes as no surprise to anyone, but most people who voted this week say they listen to podcasts! It’s one of the most rapidly growing forms of internet entertainment, after all, and 64% of you say that you’re into it, to some degree. What’s most relevant to this though, is that the greatest number of voters said that they listen occasionally … and that’s super important for us to know. Certainly, there are podcasts that can count on someone listening week after week, but by your response, that makes them sound like the exception! In terms of our own podcast? This means we need to learn to provide important information succinctly so that, in case you missed something important in one podcast, you can still learn about it the next week without us bugging the people who already hear about it once! It’s a careful balancing act, but one well worth the effort! After all, helping our audience stay engaged is crucial to the success of Gears of Eden. That’s all for this week’s Fan Feedback, but we had a thought this week: many games give you a volume slider for their music … so how many players just turn that off to listen to their own music? It’s just a silly curiosity, but we’re nonetheless curious, so let us know in the poll above! Then after you’ve done that, be sure to follow us on Twitter or Facebook for all the latest news on Gears of Eden! We’ve got big stuff going on, and we’re going to talk all about it in Wednesday’s Dev Update, so I hope you stop by!